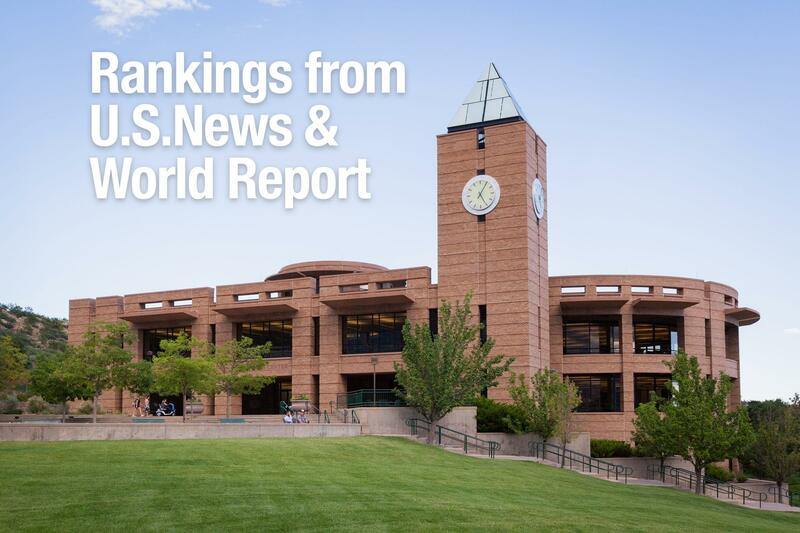 Five UCCS graduate programs and the overall undergraduate program earned national recognition for online education in the 2018 U.S. News & World Report rankings released Jan. 9. Programs in criminal justice, business administration and nursing ranked in the top 50 among public institutions in the nation, led by a No. 25 ranking from the criminal justice program. The UCCS online undergraduate program ranked in the top half among public institutions nationally with six fully online degrees. The rankings include information on student engagement, faculty credentials, student services, peer reputation and admission selectively. The publication releases its consumer guides for best overall colleges, best graduate programs and best online programs. For complete information on the online programs and courses offered, visit UCCS Connect. When you list the programs in the bulleted list later, please list them explicitly as Online programs, and not just graduate programs. I know you use the “online” several times in the article, but it should be done in the listing also, in my opinion. The story seems a bit misleading. Many people will skim the writing and look at the bulleted list below, or start from the bulleted list and read backward.